On a spring afternoon nearly a decade ago, Joseph “Dusty” Ridlon was walking a friend’s dog along a street in Nyack, N.Y. – a suburb of New York City – when he picked up a shiny item on the ground covered in sand. What happened next stunned him. There, in his hand, was a Purple Heart medal – one of the highest military honors awarded to those wounded or killed in action. 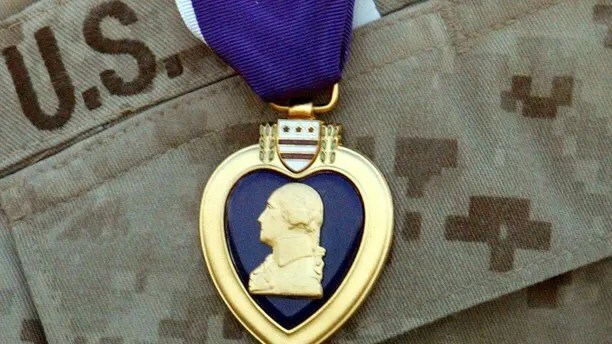 “There’s no doubt it’s a real Purple Heart,” said Anthony DelRegno, a former Navy corpsman and post commander of the C.R. and R.O. Blauvelt American Legion Post 310 in Nyack. DelRegno first saw the medal in early July when a friend of Ridlon’s brought it to post headquarters. Ridlon had tried to locate the owner himself before tucking the medal into a box for years and forgetting about it. 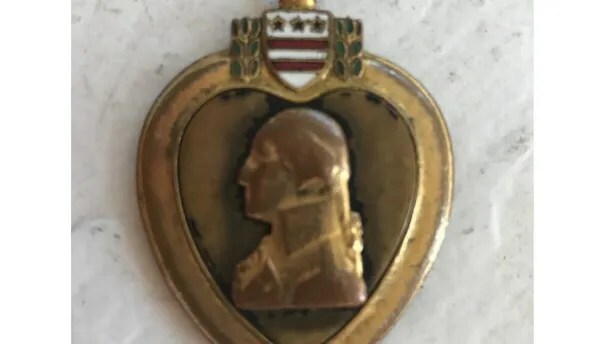 “It wasn’t until I was cleaning out my house and throwing out stuff that I remembered I had it,” said Ridlon, who noted that the medal is engraved with a likeness of George Washington on its front and missing its purple ribbon. The Purple Heart is the oldest award still given to combat-wounded veterans of the U.S. military. The award – established by George Washington and originally called the Merit Badge – has been awarded nearly two million times to recognize the sacrifice of combat-wounded veterans. There is no national database for all Purple Heart recipients, though various military organizations have been instrumental over the years in helping to reunite lost or stolen Purple Hearts with their owners or families. In 1973, a disastrous fire at the National Personnel Records Center destroyed approximately 16 to 18 million military personnel files – some of them Purple Heart recipients – DelRegno said. The award – established by George Washington and originally called the Merit Badge – has been awarded nearly two million times to recognize the sacrifice of combat-wounded veterans. The office of Sen. Charles Schumer, D-N.Y., is also assisting in the quest to find B.J. McNamara or his family. DelRegno, meanwhile, said he’s confident the medal will be returned to its rightful owner. “I’m truly optimistic that that’s going to happen,” DelRegno said.